WeddingSutra.com, India’s No. 1 Bridal Media Brand launched WeddingSutra Photography Awards in 2017 to inspire and honor the best in wedding photography and filmmaking in India. 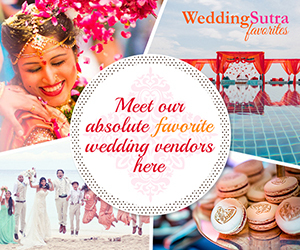 WeddingSutra.com has been shaping the wedding industry for over 19 years and have shined the spotlight on wedding photography for decades making it a covetable profession. 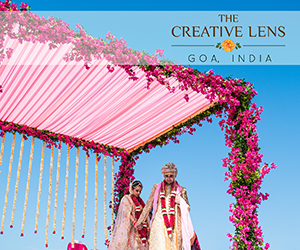 The award gives vast exposure, visibility, and opportunity to wedding photographers and filmmakers across the country. Wedding Photographers can submit their entries in the following categories. Wedding Photographer of the Year The nomination includes a series of 6-12 photos taken at one wedding. Wedding Filmmaker of the year The nomination includes a short film no longer than 10 minutes taken at one wedding. 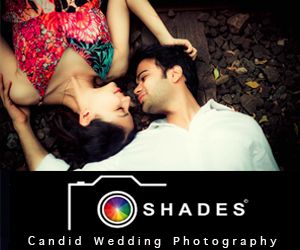 Pre-Wedding Photography This category includes images from engagements and pre-wedding shoots done not on the day of the wedding. Pre-wedding Films The nomination includes a short film no longer than 10 minutes shot after the engagement to tell the story of the couple’s love. Bride and Groom Portraits and candid photos of the bride or groom alone as well as together. Friends and Family Portraits and candid photos of the bridal party i.e., bridesmaids, groomsmen, parents, siblings and other family. Getting Ready Portraits and candid photos as the bride and groom get ready for the ceremony. Wedding Ceremony Creative shots from the wedding ceremonies. Wedding Details From the rings and mehndi to décor, mandap, cake and table settings there are endless elements of a wedding in detail. Wow Destinations Photos that showcase the stunning location/ venue/ destination of the wedding. Editorial Wedding Photography Photos from editorial shoots for catalog/ magazines/ campaigns. Album Design Your storytelling journey of the Wedding in an album. Up to 60 pages (30 spreads). Upload and enter your photo album as a single PDF file. Visual and Emotional impact, composition, image design, and technical ability are the key parameters for judging across all categories of the Awards. Experts with a background in photography, design, and filmmaking will come together to decide the best images entered into the WeddingSutra Photography Awards. Jose Villa was named one of the ‘Top Wedding Photographers’ by the prestigious Martha Stewart Weddings and Harper’s Bazaar (US). Known as a ‘fine art wedding photographer,’ every frame captured by him is as unique as the people in the photographs, leading to his work being published in many magazines around the world including Vogue, Instyle Weddings and Cosmo Bride, among others. A student of Mumbai’s J J School of Applied Arts, Prasad Naik an award-winning photographer started his photography career in 1996. His eye for detail and flair for capturing people has got him listed in the top photographers in India. Prasad has worked with top fashion magazines and brands such as Vogue, GQ, Harper’s Bazaar, L’Oreal, Nivea, Dove, Pantene, Samsung and many more. Tarun Tahiliani is a noted New Delhi-based Indian fashion designer, who is known for his stunning bridal wear. He and his wife Sailaja founded Ensemble, which was India’s first multi-designer boutique in 1987, and launched the Tarun Design Studio in 1990. His ability to infuse Indian craftsmanship and textile heritage with European tailored silhouettes has made him the most preferred designer when looking for a fusion of traditional and modern aesthetics. Cristiano Ostinelli with his creative and refined style founded Ostinelli Studio Destination Wedding Photographers. Based in Como, Italy, he has photographed gala weddings all over the world, and his latest award was the ‘Photographer of the Year’ title given by The International Society of Professional Wedding Photographers in 2017. With about 25 years of experience, this photojournalist is also a prestigious member of the WPJA Wedding Photojournalist Association USA and ISPWP USA, Fearless Photographers USA and WPS UK. Based in Germany, Anne and Riccardo are the founders of Kreativ Wedding. Known for his art of creating some of the most passionate wedding films, Riccardo’s work is sure to touch your emotions and get you teary-eyed. This duo has bagged some world-wide recognition with Riccardo being awarded the ‘Best Wedding Videographer & Editor of the Year’ in 2017 by the Wedding & Event Videographers Association International (WEVA) and Anne being voted as one of the ’30 Rising Stars’ in 2017 by Rangefinder magazine. Eliska, Martin, and Marek founded Kaco Films which was recognized as ‘Europe’s Best Wedding Videographer’ in 2017 by Way Up North Awards. 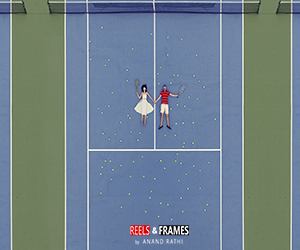 The trio has defined a specific style when it comes to producing wedding films. Their focus is on minimalism, and their forte is capturing natural moments and the authentic atmosphere of a location without any staging. Rated by Harper’s Bazaar (US) as one of the top wedding photographers in the world, California-based Sarah photographs luxury weddings and private events around the world. She founded Sarah Falugo Weddings, and her work which is known for her unique take on the overly prescribed genre of wedding photography is regularly published by top magazines such as Vogue, Harper’s Bazaar (US) and Condé Nast Brides. Winners will be announced at the WeddingSutra Photography Awards Gala and WeddingSutra Grand Engage on 2nd May 2019 at Taj Lands End Mumbai. 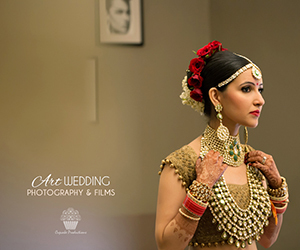 This entry was posted on Thursday, February 7th, 2019 at 4:52 pm	and is filed under Wedding Photography & Films, WeddingSutra Photography Awards. You can follow any responses to this entry through the RSS 2.0 feed. Both comments and pings are currently closed.